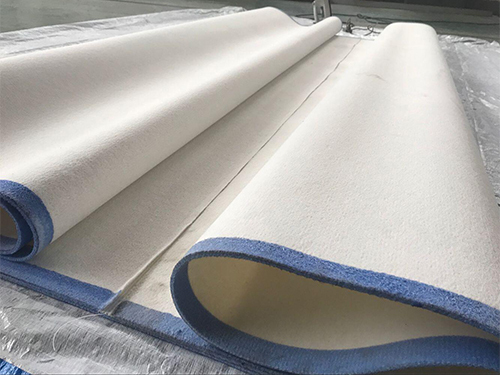 Drying felt blanket is our new product which use in specialty paper industry. 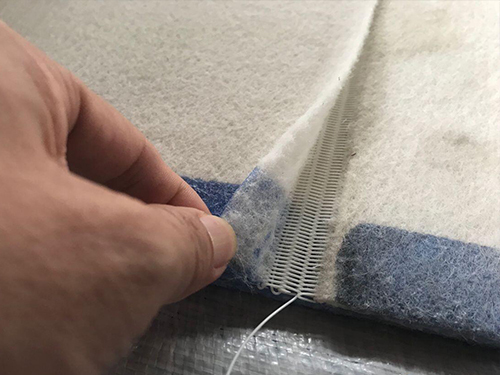 Also call "dryer felt/paper industry needled blanket..."
Specialty paper Drying machine blankets/Paper industry Dryer felt with a connection hook. Improved efficiency for paper Printing quality and board making with dryer fabric. The demands placed on paper and board machine clothing are high, as the fabrics have to support the smooth operation of the entire production line. Dryer fabrics also need to withstand high temperatures,Higher print quality. "East" Dryer Fabric was developed with modern drying sections and devices in mind. * Structure: net + felt fiber Combined. * Blankets: There is a connection hook (connection hook). * Easy to install (There is connection hook felt). * Dry paper, smoother surface, higher print quality. * Can with stand greater pulling force and high speed.